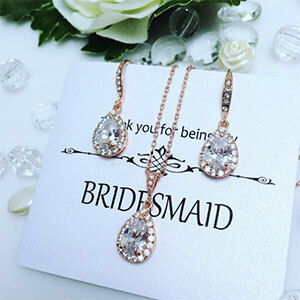 Bridesmaids Jewelry Set. 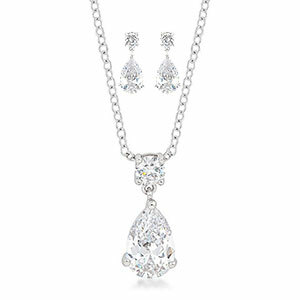 Crystal Teardrop Pendant Necklace and Earrings. Platinum plated silver or rose gold (rose gold shown). 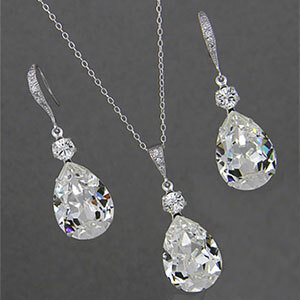 Sterling Silver Swarovski Crystal Drop Earring and Necklace Wedding Set. 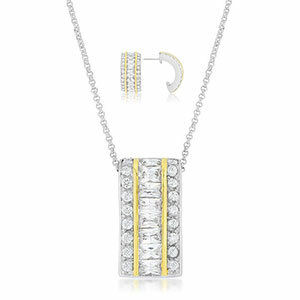 16″-19″ Sterling Silver Chain with Extender. Gold or Rose Gold Also Available. 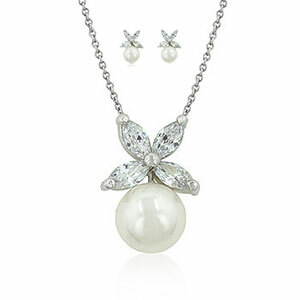 Sterling Silver Swarovski Pearl Drop Earrings and Necklace Set. Available in 37 colors. 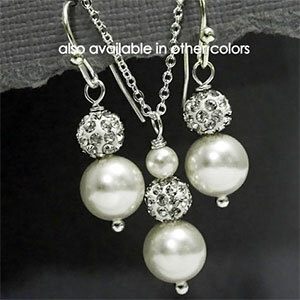 Choose silver-plated for $6 discount. Teardrop Crystal Earring and Necklace Set with (optional) Bridesmaid Thank You Card.